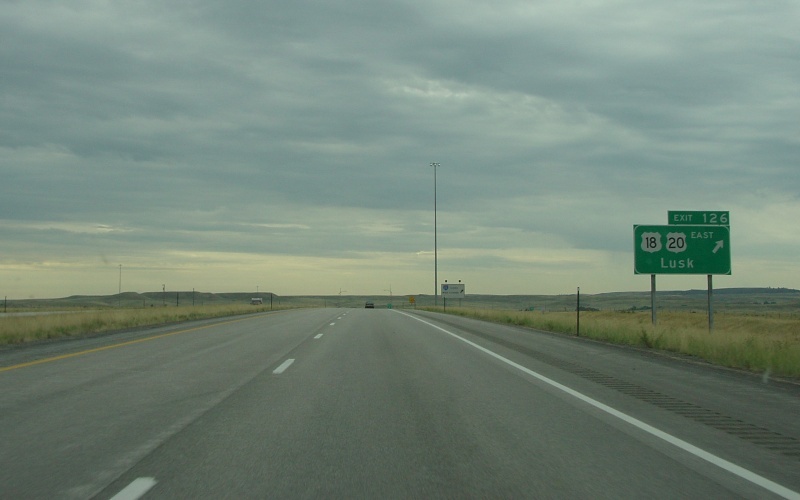 Southbound I-25 at Exit 126 near Odin, WY. This is both where US 20 departs from I-25 and where US 18 begins. Photo by Adam Froehlig, taken August 3, 2005. At the end of the off-ramp from southbound I-25. Photo by Adam Froehlig, taken August 3, 2005. 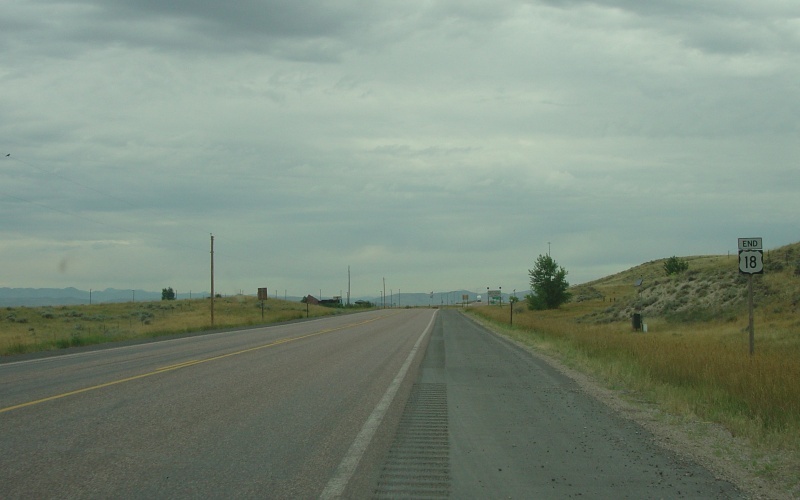 END signage for US 18 at the end of its duplex with US 20, near Odin, WY. The interchange with I-25 is in the background. In the far left background is Manning Ridge. Photo taken August 3, 2005.